At the moment,the black ones and silver ones are out of stock. We will keep you informed about the arrival of the black and silver ones. 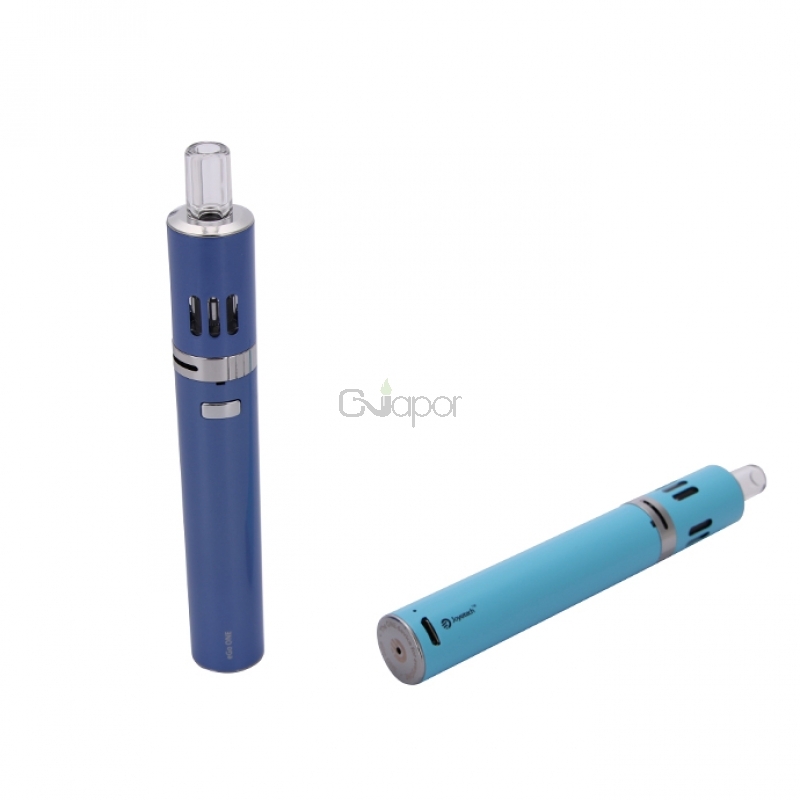 The eGo ONE is petite in appearance, as long as a real cigarette, but is powerful enough to produce vaporing cloud. 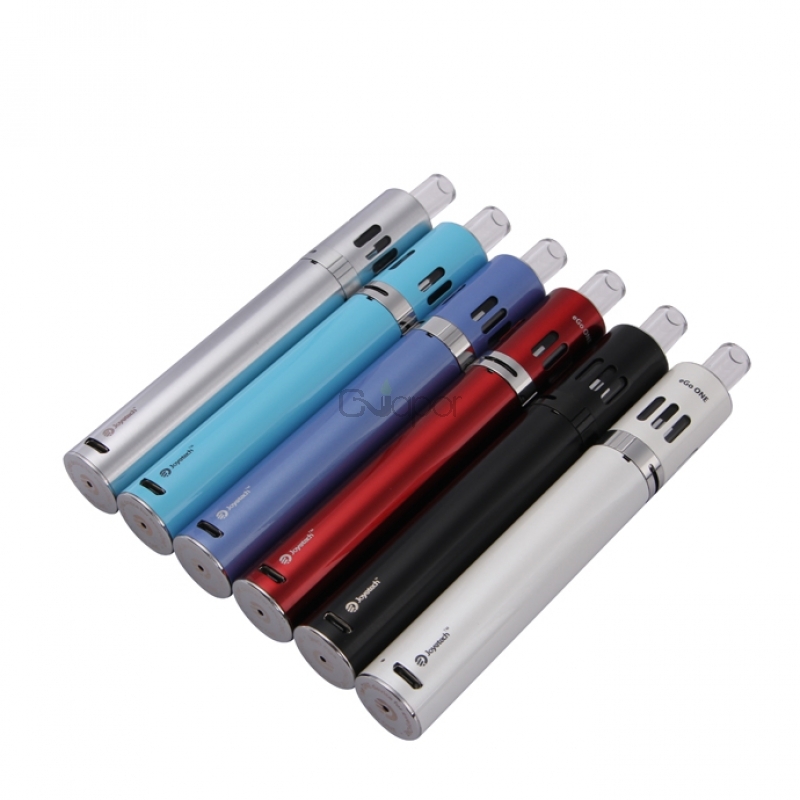 The eGo ONE is 510 threaded and has a adjustable airflow valve. Rotate the ring on the atomizer base clockwise to decrease the air inflow, and counterclockwise to enlarge the air inflow. 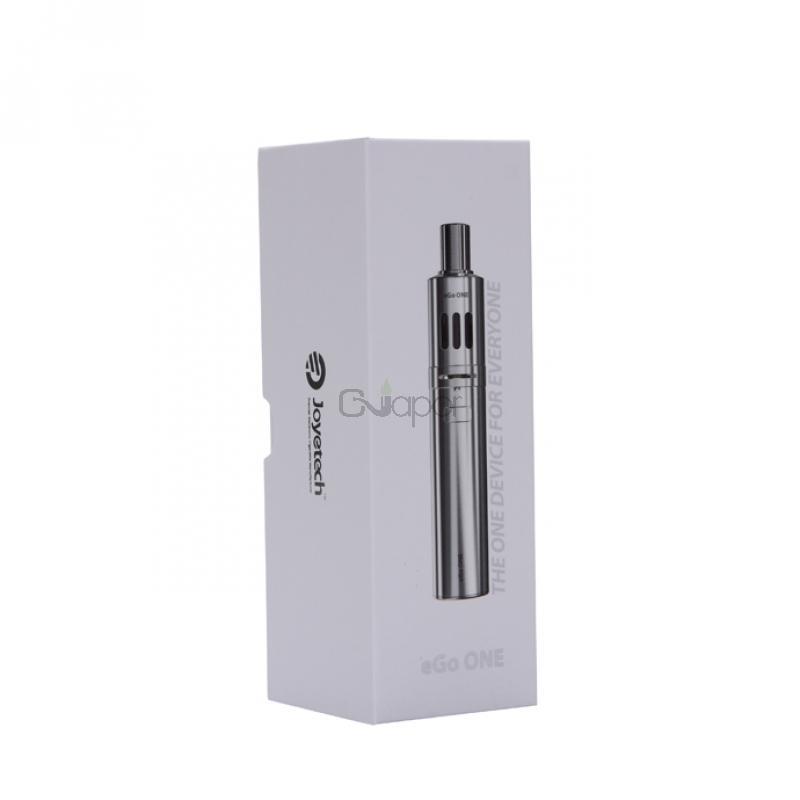 The eGo One kit has two drip tips included, a metal and glass version with thermal insulation. 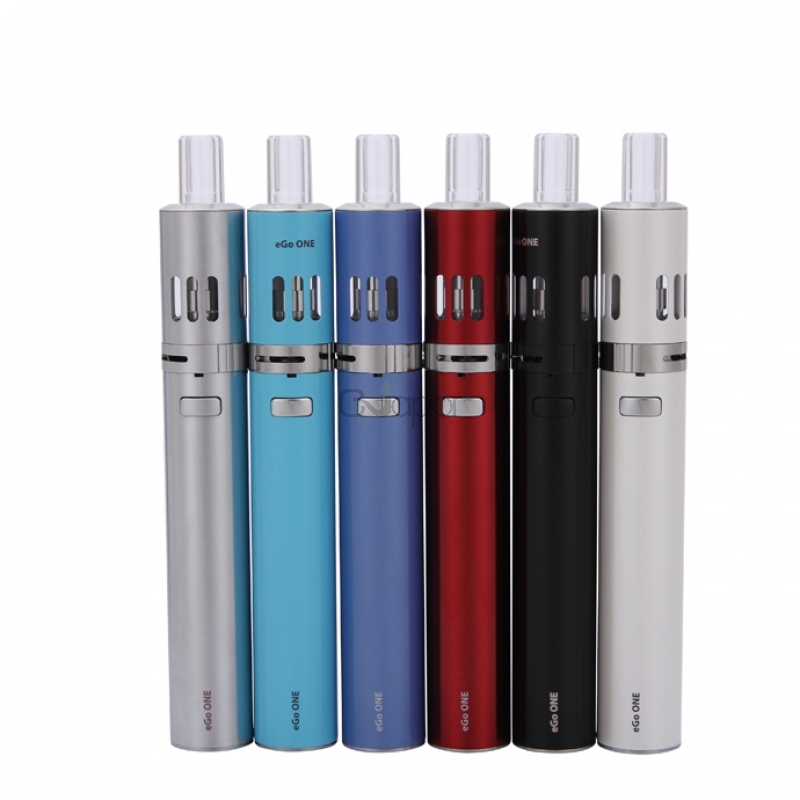 The eGo ONE is a small but powerful device capable of delivering flavor and vapor previously seen only in much larger devices from Joyetech. 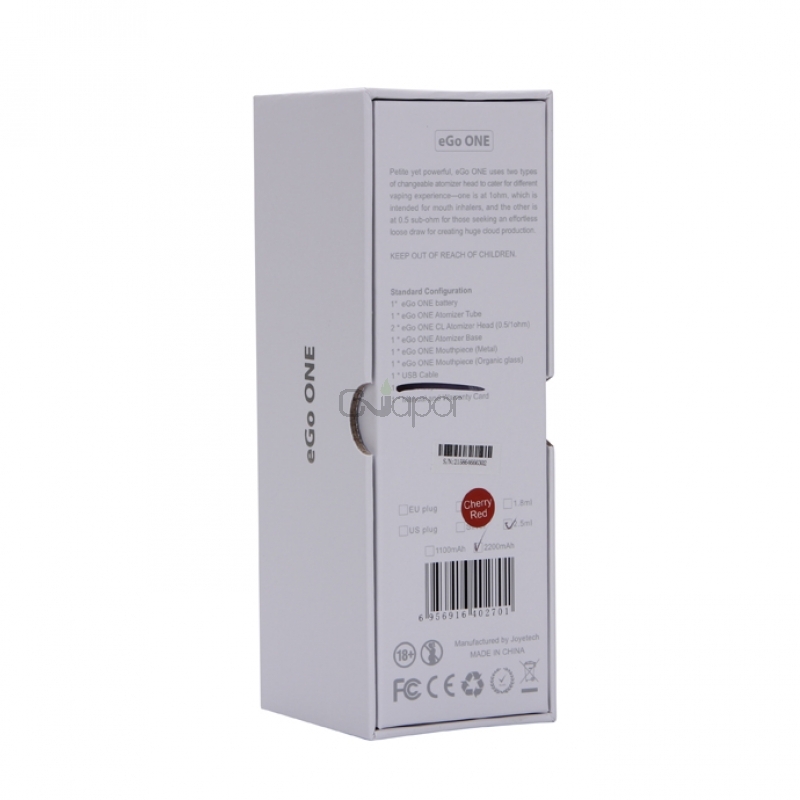 This device is made of stainless steel, with two different atomizers to accomodate two kinds of vaping style-mouth inhale(1.0ohm) and lung hit(0.5ohm).